20 Tell Tale Signs Your A farm Girl! Can you drive past a farmers market without stopping? Do you have an addiction to gardening magazines? 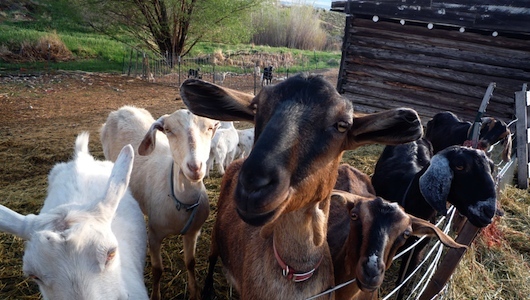 Karen Lynn shares these and more in the “20 Telltale Signs That You’re A Farm Girl” and also shares some exciting shows that were formerly aired on The Survival Mom Radio Network. This show is a preview of what’s to come in the live shows beginning on December 2nd at 9pm eastern on our network The Prepper Broadcasting Network! In addition to sharing the”20 Telltale Signs That You’re A Farm Girl” Karen Lynn also shares her pumpkin finds for fall, her gratitude’s for November and even some news about an interview with one of her fellow former Survival Mom Radio Hosts Sharon Pannel, The Trailer Park Homesteader which will be coming up soon on this network in the next month or so! Are you a farm girl or guy? If you are your in good company! Whether you have chickens or not the farm girl or guy is in your blood and it manifests itself in rather predictable ways and some are not quite so predictable! On a personal note she shares about what is happening on her lil’ homestead and shares about one of her Favorite Proud Mom moments this fall! You will love hearing Karen Lynn’s musings of the 20 Tell Tale Signs That You’re a Farm Girl! She was struck with inspiration one evening and thought why that’s a radio show! Visit Lil’ Suburban Homestead HERE! 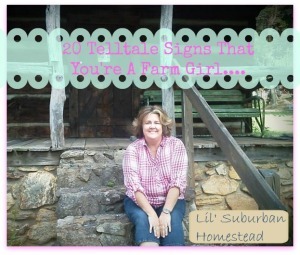 Listen to this broadcast 20 Tell Tale Signs Your A farm Girl below! Put one of our 24/7 players on your web site Go Here and check them out!